On of the earliest references to an idealized world called a “Utopia” is Sir Thomas More’s imaginary island, “Utopia” with perfect law and social order, authored in 1516. In Post World-War II American popular culture, apocalyptic stories wherein Utopia was re-established appeared in comics like The Avengers, where superheros and genetics triumphed over evil that ordinary law enforcement could not stop. In the 1970s it seems that many thought Utopia had been achieved. Even in religion the notion of mind expansion emerged in Christian denominations in the form of The Charismatic Movement. This new phenomenon was thought to open the individual mind beyond denominational traditions through spiritual inspiration. Although this movement arose in resistance to other kinds of mind expansion with drugs and meditation, its effect was still mind expansion beyond orthodox conventions. In the 1970s, the American middle-classes were doing well. The push to reach beyond social conventions in the 1960s seemed to have taken hold and there seemed to be emerging a new consciousness where civil rights for people of color and gender equality had gotten a strong beginning. Furthermore the United States pulled out the controversial Vietnam War, and the draft was repealed. The United States enjoyed a robust and growing consumer economy, even with Wartime spending in Vietnam, there was more money to spend on items that were considered luxuries, including the Arts. Some artists and musicians began to turn from the consciousness-raising of protest to simply living as artists. Despite people’s struggles and that the change was slow, there appeared on TV an illusion of gentrified and liberalized prosperity. With the world wide open, new ideas were advanced in science and technology. Richard Buckminster Fuller was an important architect, systems theorist, author, designer and inventor in the 20th century. Though he is not widely known enough to be seen in a high school history book, Fuller did influence science and technology in profound ways. Among Fuller’s many inventions are his Geodesic Dome and the Dymaxion Map. The Geodesic Dome emerged as Fuller experimented with designs for houses constructed with triangular planes that made a polyhedron, a structure that would hold the most volume with the least amount of building material. When Fuller applied his triangular geometry to mapping planet Earth in his Dymaxion Map, he re-visualized not only the geometry of a sphere, but also the power structures based on an Earth mapped with four hemispheres. Instead of a grid of logitude and lattitude, he used a grid of triangles that showed the world as one continuous land mass, not land divided between four hemispheres. This new conception of the world was physical evidence that humans could think differently, but were tied to politics and traditions based on geographic conventions. Challenging as they were, Fuller’s theories were not widely accepted in a world already divided into domains of power. But Fuller’s work does reflect the search for a new consciousness, not just psychologically, but geographically and politically. 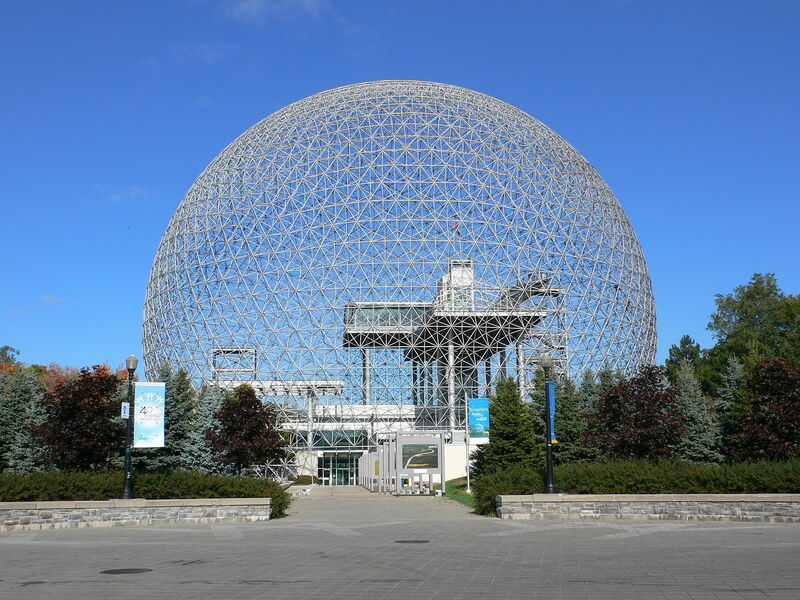 See more about Fuller’s influence at the Buckminster Fuller Institute. Most evening television news rarely featured intellectuals like Fuller. But television had a huge influence in the way it illuminated the imaginations of viewers with a new set of social conventions. To see the beginnings of this trend we need to rewind our story to the early 20th century. One of the intellectual giants of the twentieth century, the journalist and commentator Walter Lippmann argued that one’s opinion was actually based on an images they visualized in their minds. Similarly, he argued that Public Opinion derived from a mental image that all can agree on. But this was not easy, because authorities tended to impose their own powerful images, which they compelled individuals to accept. In sum, Lippmann worried that people were so saturated with the ideas of others that they would never be able to make up their minds about anything. Indeed with the rising popularity of radio and film, and later television, audiences were saturated with plenty of images from outside themselves. In the 1920s, the term stereotype had a different meaning than we hear in the press or popular culture, today, which tends to limit an individual’s freedom to think and act as themselves. Lippmann and others at this time, believed that the then-new media of radio and film held the future for education, wherein knowledge would be transmitted in efficient modules, called stereotypes. In the 1970s, those modules of content on television, radio and film shifted to new social currents of civil rights, the women’s movement, and other changes. Viewers saw these issues mirrored in, say, television programs, like All in the Family. It may not seem much like a program you would see in a place called “Utopia,” but All in the Family and other shows in the 1970s signaled that we had come to a point where social problems were addressed in the mass media, not covered up. Watch this Episode of All in the Family and pay attention to the way we get to know the characters and their quirks, which include their views on social problems.